Professional Exterminators will Save You Money – In the short term, DIY pest control may seem like the most affordable option when treating a home infestation. While each item (such as pesticide spray or a mouse trap) may be less expensive than hiring a professional, your costs can quickly add up. Home pest control is usually trial-and-error since homeowners are not as knowledgable as the professionals about what products work the best. Infestations often have you running back and forth to the store, all while the pest population at your residence continues to grow and potentially damage your home even further. Pest control businesses know exactly what products to use when tackling pests. They ensure that your bug or rodent problem will be taken care of with the best products available, meaning you won’t have to spend money over and over again on multiple methods of extermination. Actually Get Rid of Pests – Unfortunately, many of the pest control products available at the store only offer temporary relief from an infestation. When you treat bug invasions on your own, you run the risk of tackling a recurring problem. Some products may last a month or two, while others will never fully rid your home of bugs in the first place, leading to ongoing infestations. A high-quality pest control company will not only effectively remove pests in the first place, but they also offer follow-up services to keep your home pest-free in the future. Keep Your Family Safe – Many commercial and even DIY pesticides contain a boatload of mysterious chemicals. The average homeowner will be unaware of the variety of potential harms these chemicals can cause to your home, yard and even family members. Sometimes, even just mixing two different roach poisons can create a dangerous chemical reaction right in your backyard or kitchen. Turn to a trusted exterminator to wipe out pests. Professionals understand the potential hazards associated with pesticides. They know what chemicals to use where to ensure that your children and pets are safe from hazardous chemical exposure. 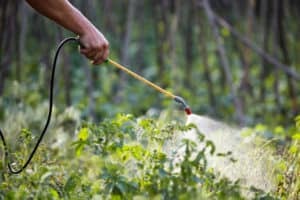 Minimize Environmental Impact – Pesticides are not only dangerous for humans, but they can also destroy a variety of plant species. Don’t run the risk of killing your grass or emitting harmful chemicals into the air! Call a professional pest control company for your bug or rodent infestation. Our expert teams take every precaution to avoid damaging the environment when tackling pests. At Safe Pro Pest, we respect the value of your home, time and money. We are committed to providing our customers with effective pest control in an efficient manner. For more information on our professional pest control services, visit our website: https://safepropest.com or give us a call today (972) 435-0700.